Many Poles today leave their home country to work abroad. But, for some in the world, Poland is the land of opportunity. The current social and economic situation in Greece has led many of its young people to seek better fortunes here. Effie Eleftheriadou, a member of Krakow’s thriving Greek expat community, reports on their experiences in part one of the Krakow Post’s exclusive three-part series. “Yes, I will call you right after landing!” I say while trying desperately to find some place in my backpack for that piece of spanakopita that my mum gave me for the trip. I check my boarding pass and proceed to the gate. Final destination? KRK! Skyrocketing Greek unemployment has disproportionately impacted young people. 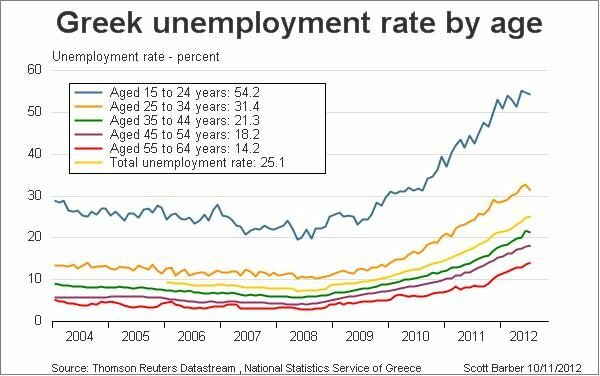 Suffering from the highest unemployment rate in OECD (26%) which is over 55% among young people, it is not surprising that during the last five years Greece has experienced a massive brain drain. Over 200.000 young, talented people have decided to leave the country to work abroad, mainly because of the financial crisis and the lack of job opportunities at home. The vast majority of them are now living in Germany and the UK. In Krakow today we are not more than a hundred. We come from all parts of Greece (Alexandroupoli, Kavala, Athens, Thesaloniki, Lamia, Pyrgos…) and during the last 3-4 years we are becoming part of the krakovian landscape. The first major presence of Greek people in Poland was right after the end of the civil war in Greece and the defeat of the communists (spring 1949). About 14.500 political refugees from war-torn Greece found a new home in communist Poland (mainly in Wrocław and a couple of neighbouring towns). Despite the tremendous difficulties, the Polish state gave those refugees shelter, food, and, most important, access to education. Over the years, the Greeks were fully integrated into Polish society. However, after the regime change in Greece in 1974, the majority of the Greek population in Poland was repatriated to Greece. Ranging from mid-twenties to mid-thirties, almost all of the Greeks in Krakow work in the BPO (business process outsourcing) sector. For the younger ones, these outsourcing companies are actually their first real work experience; quite a good start in their careers, since almost all have an academic background in Finance and/or Business Administration. As for the older ones… well, that’s a different story. 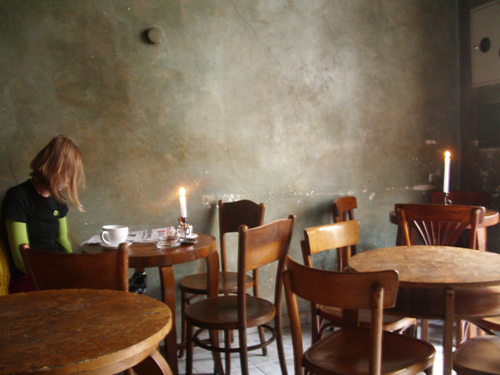 “I got my first job [in customer service] in Krakow simply because I am a native Greek speaker. Other than that, none of my qualifications here are worthwhile”, says Giorgos, 34, whose first degree is Engineering, his second in Greek Philology, a master’s degree in Cinematography, and a PhD in philosophy and cinema. Some people were attracted to Krakow because they visited the city in the past and they liked it; others followed the typical pattern of chain migration, where an already existing network of people pull their friends and relatives to come to the host country for work. Then there are those few who simply happened to land a job here after applying for different positions in different countries, but Krakow was the first to bite. Next to her Thanos was leaning on a second chair (they say that Greeks occupy at least two chairs: one to sit down and a second to rest their leg or elbow). He was chatting with Anna. She was excited because she had gotten very good feedback at work: “My supervisor told me she feels very lucky that she works with me!” Their phones were busy. On the other end were friends calling from Greece. The contact with our families is of course on a daily basis! All of them have had family members and friends visit them in Krakow. “What they see here when they visit Krakow exceeds their expectations!” said Grammatas. “When my dad came to Krakow, he liked the Rynek so much that he wanted to rent a café there”, Maria told me. So, it’s quite common for the older generation to have an outdated view of Poland—that of the communist past—but once they set their foot in the city, they are fascinated. Krakow is one of the most welcoming towns in Poland… My favorite city there, and I’m glad that these young folks are getting the chance to make a living there. With the recently influx of refugees and the new crisis I hope that this city would become a welcoming one for the new arrivals and more to come for further generations in this new experiences. As a Chinese who lived in Poland for 3 yrs and visited KRK 5 times during that period, i loved this city so much, the cultral, people, arts, architechtures…..too much to list. I sincerely hope this city could remain its welcoming and open-minded characters, which is particularly important in this stage of this country and Europe. Im not sp jappy to see the right wing taking charge of this country, or the anti immigrant marchs, honestly say. A vibrant city relies on diversity, KRK has the potential to be a world stunner. Poland is now the center of Europe. Is a beautiful place where you can find a great job. I am a Greek-Cypriot in Poland and i am living in Warsaw the last 4,5 years. I never regret moving to Poland. In Cyprus i had a good job which i left before i moved here with my wife. Most Polish people love Greece, because either they used to work there or they are going for holidays very often. There are thousand of work opportunities where you can advance your knowledge and move your carrier to the next level.